Sooner or later, most adults will experience the death of a loved one. Whether it is a parent, spouse, sibling, friend, or a child who has died, the eventual necessity for saying goodbye forever to someone close to us is one of the so-called realities of life – like old age, it is an unavoidable consequence of existence on this earth. Grief is the natural psychological response to loss of such a person. The intensity of the complex emotions aroused by grief may be very different from one person to the next, as may be the length of time grief lasts. Such factors as general health, maturity, family and financial stability, previous experience with death, and the availability of understanding and supportive relatives and friends can have a significant influence on the way grief is experienced by an individual, as will the nature of the loss itself. The death of an elderly loved one, for example, is usually not unexpected, and mourners can in this case take some comfort in the fact that the life which has ended was a full and productive one. When a child dies, parents are taken by surprise. The association of children – especially babies – with the barren finality of death seems to violate the fundamental order of nature. Grieving parents of very young or unborn infants have little or nothing to hold on to in the way of memories or tangible mementos. It is their dreams and hopes – their future itself – which have been destroyed. Mourners do not necessarily progress in an orderly fashion from Denial to Resolution. Some may bounce from Despair to Resentment and back again several times before moving on. For others the sequence is more of a spiral than a straight line. They cycle repeatedly through different sets of feelings while their pain gradually decreases in intensity, and acceptance of their loss gradually increases. No matter how bizarre and confusing our emotions and impulses may seem, no matter how crushing our pain, each step we take on the path of grief is a step toward healing. It may help to think for a moment about how the body responds to a physical injury. Initially, a severely injured person experiences traumatic shock. Bodily sensations are blocked and the person may be semi-conscious and unable to move, which is just as well if bones are broken or internal organs bruised. As full sensation returns, the body brings pain to the injured person’s consciousness, assuring that the parts of the body which have been damaged will remain motionless and less likely to undergo further harm. If there are open wounds, the body mobilizes its immune system, which may bring swelling and additional pain. Finally, the body is ready to complete the healing process by generating new tissue to repair the damage. The various steps taken by the body to preserve life and repair injury may not represent its “normal” mode of operation, but they are the expression of natural, built-in mechanisms available to every body. Grief works the same way on the psychological level. A body that has healed itself is not necessarily “as good as new”. There will always be a scar on the skin, a weak place in the bone, a twinge of pain that returns on cold winter days. Grief, too, leaves behind its scars. Our first reaction as parents after the death of a baby is often disbelief – “This can’t be happening”, “There must be some mistake”, “Are you sure the machine is plugged in?” This response usually goes along with a kind of numbness – a sense of unreality, of “being in a dream” or of watching someone else go through the motions without the parent really being emotionally involved. These reactions are instinctive and help to soften the initial impact of the death. It is easy for outsiders unaccustomed with the grieving process to be deceived by our behavior while we are in denial. They may incorrectly assume that we are holding up well or are insensitive or incapable of expressing emotion. What is actually happening during this period, which may last for hours, days or weeks, is that our mind is blocking out pain, just as the body does during traumatic shock. When we are better able to face the death, emotion will come flooding back, often accompanied by crying or some other form of release. Anger and guilt aren’t good or bad – they just are. It is important for us to give these and the other intense emotions experienced during grief full expression rather than reserving them for a “correct time”. Holding back only prolongs grief and slows our progress toward acceptance and resolution. Suppressed anger may surface at an even more inappropriate time in an even more inappropriate manner. There are many different ways to release anger safely. The mode of expression we choose – screaming in private, hitting a pillow, engaging in strenuous exercise, writing a journal – is not important as long as our anger is acknowledged in some way and not denied. This is in many ways the most difficult aspect of grief, especially since it typically lasts long enough after the initial loss that friends and family, as well as we ourselves, expect mourning to be over. It is the dull, nagging pain eating away at the base of our heart. It’s the jagged hole in the fabric of our life, the gray emptiness which greets us every morning as we emerge from our gray, empty dreams. Life loses whatever meaning it had, and even the simplest tasks seem impossible. Pain associated with past losses – divorces, layoffs, previous deaths of relatives and friends – is often reawakened. We may feel worthless, may feel we are complete failures as human beings. We may contemplate ending our own lives either to escape from the seemingly unending pain of grief or to be with our dead child. It is common for us to be preoccupied with our lost child, to hear it crying in the night, to feel our arms literally ache to hold a baby. It is even within the range of what is “normal” at this stage to pick up a cat, a doll, a pillow — anything to put a child-sized weight on our arms. We may speak of our child as if it were still alive or have vivid dreams in which we are allowed to visit the child. Fear is also a common emotion during this phase. We may experience an overwhelming sense of foreboding, a feeling that another horrible thing is about to happen. We may be obsessed with fantasies involving the death of another family member, including that of our spouse or partner. We may become overly protective of any surviving children and at the same time doubtful of our ability to continue protecting their welfare when we have already proven ourselves incapable of preserving the life of the child we have lost. Many of us find that it is hard to concentrate for any length of time. Our minds wander and it is impossible to read, write, or even to make trivial decisions. There is no clear-cut boundary separating those who have healed their loss from those who are still in the process of healing. In a sense, no one is ever completely “healed”, for grief is a journey of transformation, and we are different now from the people we were before our encounter with death. We will never forget the child we have lost or the pain we have endured, but we find that as time passes, our burden lightens slowly – very, very slowly – but surely. The “good days” begin to outnumber the “bad days”. We find that we have more energy to put into the other parts of our lives, that we are able once again to deal with everyday chores and aggravations. We still get choked up when we talk about our child, but we do not break down. 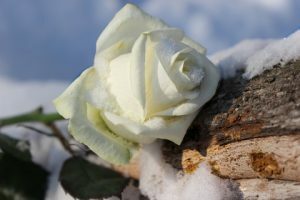 Holidays, due dates, and the anniversary of our baby’s death still trigger tears and waves of sadness, of course, but in general we are no longer incapacitated by grief. We are coping. Unfortunately, there is no way to know ahead of time how long it will take any of us to reach this approximation of normalcy. A lot depends on the intensity of our feelings and on how we express (or fail to express) them. We can only know that eventually, in its own time, healing will come. The entire process generally takes at least six months to a year and many parents find they need two years or more before they are ready to let go of their grief. Grief is not only a mental and emotional process. Our bodies, too, participate in our anguish. Sleep is often disrupted, and when it does come it may do little to relieve a persistent feeling of exhaustion. This, along with prolonged psychological stress, takes its inevitable toll on a body whose immune system may not be functioning up to par, making it more susceptible than normal to flus, colds, and other diseases. During the stage of despair, our body’s dietary and hygienic needs may be neglected. Physical symptoms centering around the heart or in the stomach or muscles are fairly common. A medical examination can prevent a minor health problem from becoming a serious one. Sleeping pills, anti-depressants, and other medications should be used only on the advice of a physician, and even then it is wise to use such drugs sparingly, since they can interfere with healthy expression of emotion and may even make depression worse. Regular exercise is also a good idea, since it helps to maintain our body’s tone while reducing stress and releasing pent-up energy.